Imagine that your company has finally released its new flagship product, which is slated to be the new lifeblood of the company. You’re elated when early sales far exceed expectations. But soon you are hit with a demand letter from a competitor alleging that the product infringes its patents, and threatening suit. Remembering that your company purchased comprehensive coverage under its commercial general liability (CGL) policy, you feel some initial relief—but soon your insurer tells you that the general policy does not provide patent coverage, or even expressly excludes such claims. Suddenly, you’re left wondering how your company will weather a costly patent lawsuit while continuing to roll out its new product. On the other hand, policyholders seeking coverage for patent claims under more traditional liability policies—such as CGL or Directors and Officers policies—have faced uncertain outcomes. 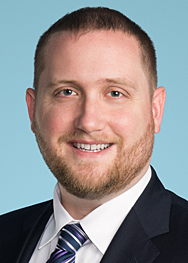 For example, policyholders sometimes seek coverage for patent claims under the “advertising injury” coverage provisions in CGL policies, but their arguments for coverage have been met with only mixed success, and can hinge on fact-specific arguments. To help fill this patent coverage gap, some insurers have recently begun offering more comprehensive and cost-effective intellectual property policies specifically tailored to address the risk of patent (and other intellectual property) claims. These products, for example, can offer specific coverage for the cost of defending against infringement claims, patent declaratory judgments, International Trade Commission proceedings, and administrative invalidity proceedings at the Patent & Trademark Office—i.e., inter partes reviews. Adding such policies to a company’s insurance program can plug an important coverage gap and alleviate the uncertainty of challenging coverage arguments under CGL or D&O policies that insurers will contend did not contemplate patent claims. Importantly, insurers in this developing space may be willing to manuscript or modify their policies significantly. Thus, companies looking to purchase patent insurance could benefit from engaging counsel with a strong understanding of both patent and insurance issues to assist in negotiating placement of the coverage. Patent infringement complaints, for example, routinely allege willful infringement or inequitable conduct. An astute coverage attorney can help structure any intentional acts exclusion to avoid rendering coverage illusory or ineffective for such allegations. 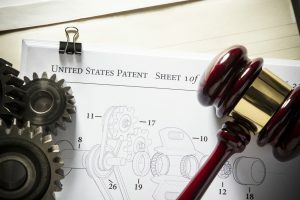 The patent landscape continues to evolve in the wake of the Leahy-Smith America Invents Act and the Supreme Court’s decision in Alice Corp. v. CLS Bank, which established a more exacting patentability standard for software patents and has opened the door to more motions to dismiss for lawsuits asserting those patents. Nonetheless, patent lawsuits remain prevalent and costly. A well-negotiated patent policy can help close a critical coverage gap, and may even prove critical to your company’s continued viability in the face of such suits.